The work of James Edward Maceo West transformed the way people around the world hear and transmit sound. In 1962, West, then a research scientist at Bell Laboratories, developed the foil electret microphone in partnership with his colleague Dr. Gerhard M. Sessler. Until that time, most microphones, which transform sound into an electrical signal, needed a cumbersome and expensive battery in order to operate. By contrast, West and Sessler used an electret, in their case Teflon, to drive the sound conversion. Electrets are materials that can be permanently charged or polarized following exposure to an electric field. The foil electret microphone saved space and money and proved quite sensitive to sound as well. It improved hearing aids, for instance, allowing those wearing them to take a walk without painful vibrations. The technology has also been used to aid with blood pressure readings and in the U.S. space program. It is now the standard in cell phones, computers, hearing aids, and audio recording equipment. Born February 10, 1931 in Farmville, Virginia, West had an interest in science from an early age. While still in elementary school he inadvertently shocked himself while plugging in a radio; rather than frighten him, however, the experience only heightened his desire to learn about technology and its applications. Within a few years, West had that opportunity, wiring homes for electricity as an assistant to an older relative. West’s parents, Samuel Edward and Matilda, held a variety of professional jobs during his childhood. His father, for example, operated a funeral home and sold insurance, while his mother worked as a teacher and at Langley Air Force Base. A leader in the local NAACP, Matilda West lost her job at the base during the McCarthy era as a result of her organizing activities. For most of his life, West also had an interest in politics. He read W.E.B. DuBois growing up and, in college, attended meetings of the Black Panther Party. 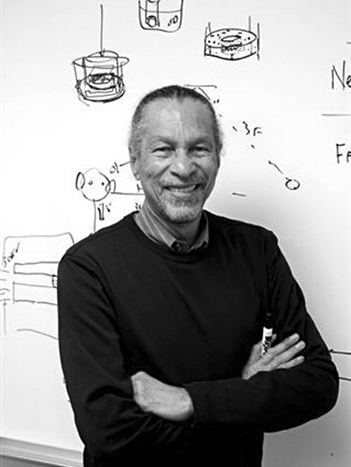 At work, he was known for speaking his mind and, in 1970, co-founded the Association of Black Laboratories Employees (ABLE) at Bell Laboratories. After completing high school, West’s family expected him to pursue higher education in a traditional field, like medicine, education, law, or the ministry. West, however, had other ideas. Though he began college at Hampton University in Virginia as a premed student, he changed course after serving in the military during the Korean War. After being discharged, he enrolled at Temple University in Philadelphia, Pennsylvania, earning a BS in Physics in 1957. Following graduation, West began work as a scientist in the Acoustics Research Department of Bell Laboratories in Murray Hill, New Jersey, one of only a small number of African Americans then employed by the research firm. During the late 1950s and 1960s, West and Sessler partnered to develop what would become the foil electret microphone. Initially charged with investigating the mechanics of human hearing more generally, West and his colleague first made use of the old-style battery-operated microphones. Through trial, error, and even luck, their research led to the study of electrets, and, ultimately, the realization that the new material of Teflon could function superbly as an electret, allowing for the transfer of sound to electrical signal. Their U.S. patent for the foil electret microphone is #3,118,022 and was issued on January 14, 1964. West spent more than forty years at Bell Laboratories and holds over 200 U.S. and foreign patents. When he retired in 2001, the company named him a Bell Laboratories Fellow, its highest honor. Soon thereafter, he joined the faculty of Johns Hopkins University, serving as a Professor in the Department of Electrical and Computer Engineering. West is a member of the National Academy of Engineering and has been inducted into the National Inventors Hall of Fame. He is a fellow of both the Institute of Electrical and Electronics Engineers (IEEE) and the Acoustical Society of America and holds honorary doctorates from Michigan State University and the New Jersey Institute of Technology. In 2006, he was awarded the National Medal of Technology by President George W. Bush. The medal the nation’s most prestigious award for technological innovation. West has one brother, Nathanial. He and his wife Marlene have four adult children. Bobbi Booker, "The Men behind the Microphone," Philadelphia Tribune, April 30, 2010; Charles A. Kapps and Lawrence W. Dobbins, “The 2010 Benjamin Franklin Medal in Electrical Engineering Is Presented to Gerhard M. Sessler and James E. West for the Invention and Development of the Electret Microphone,” Journal of the Franklin Institute 351, no. 1 (2014): 17-31; Joanne Cavanaugh Simpson, “Sound Reasoning,” Johns Hopkins Magazine, Summer 2003, http://pages.jh.edu/jhumag/0903web/west.html. Bobbi Booker, “The Men behind the Microphone,” Philadelphia Tribune, April 30, 2010; Charles A. Kapps and Lawrence W. Dobbins, “The 2010 Benjamin Franklin Medal in Electrical Engineering Is Presented to Gerhard M. Sessler and James E. West for the Invention and Development of the Electret Microphone,” Journal of the Franklin Institute 351, no. 1 (2014): 17-31; Joanne Cavanaugh Simpson, “Sound Reasoning,” Johns Hopkins Magazine, Summer 2003, http://pages.jh.edu/jhumag/0903web/west.html.